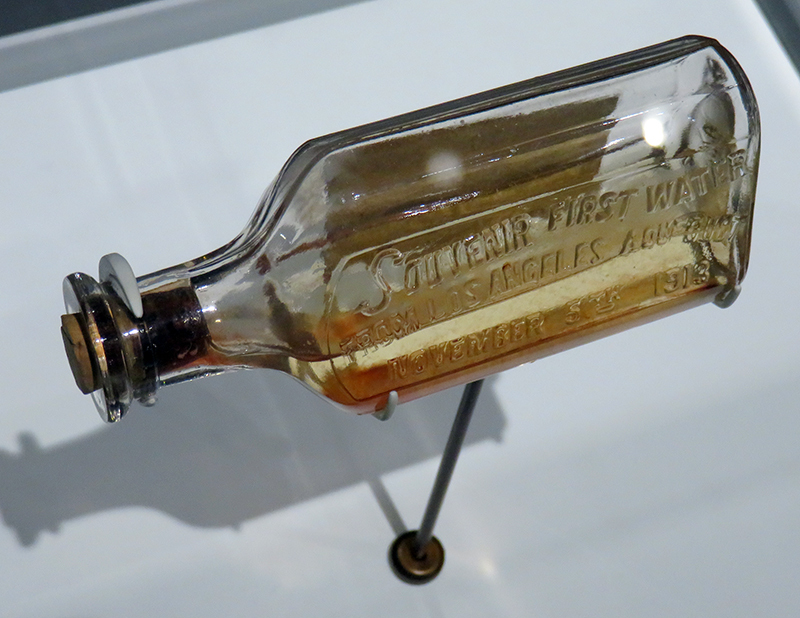 SCVHistory.com LW2983 | Natural History Museum | Souvenir Water from L.A. Aqueduct Opening, 11-5-1913. Museum signage | Click to enlarge. 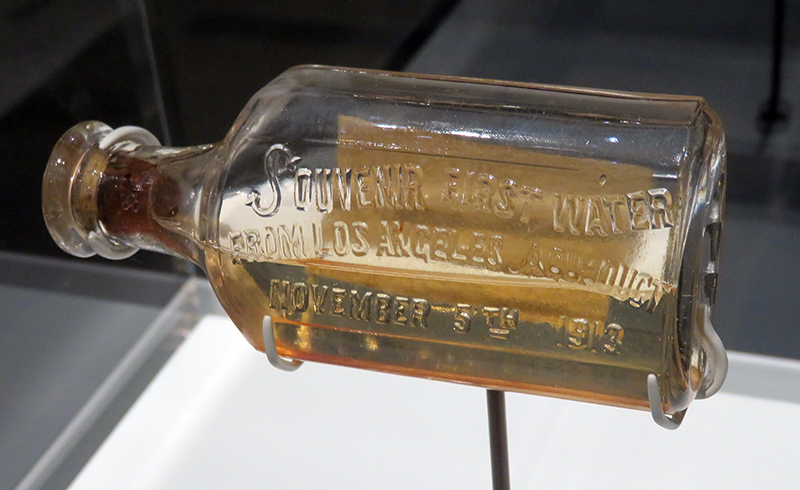 Souvenir Water from the opening of the Los Angeles Aqueduct at the Cascades in Sylmar/San Fernando, Nov. 5, 1913. 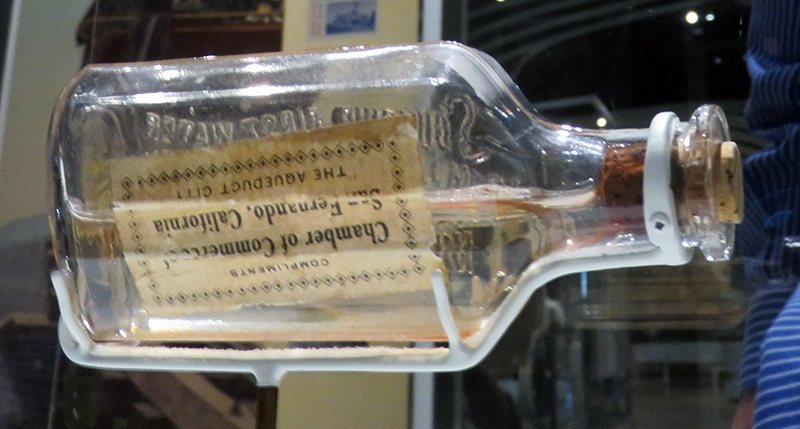 (Paper glued to back of bottle): Compliments / Chamber of Commerce of San Fernando, California / "The Aqueduct City"
As the population increased, new sources of water were needed. Fred Eaton and William Mulholland conceived a plan to bring water to Los Angeles from the Owens Valley. 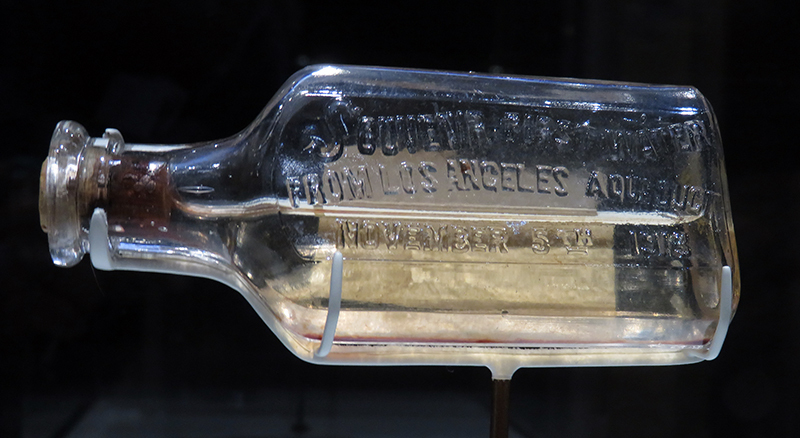 The 235-mile Los Angeles Aqueduct opened on November 5, 1913. 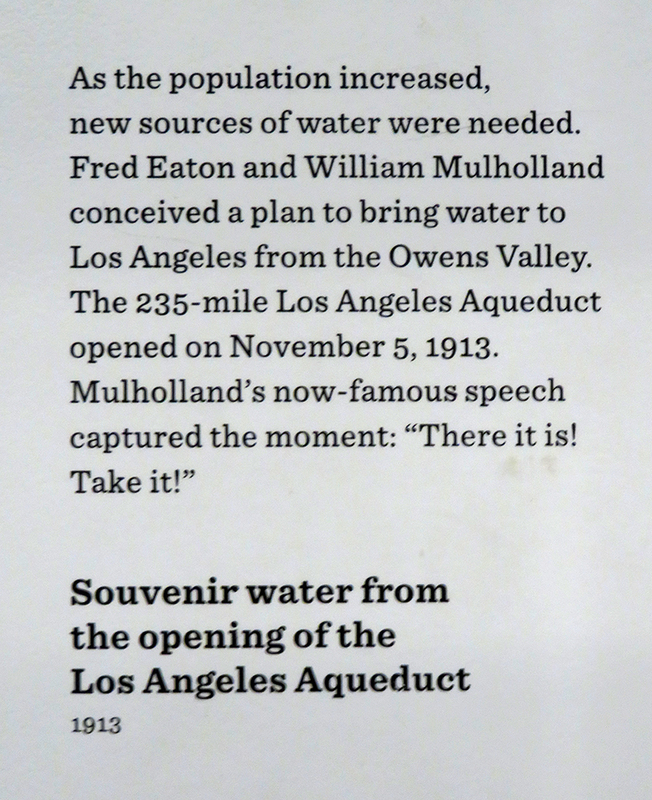 Mulholland's now-famous speech captured the moment: "There it is! Take it!" LW2983: 9600 dpi jpegs from digital images by Leon Worden, 4-29-2017.